Wills in Pekin, IL | Contact Brave Law Center, P.C. You would be surprised to learn how many people don’t create a will or an estate plan. Estate planning is the process of getting your financial and personal affairs in order in the event you die or become incapacitated. 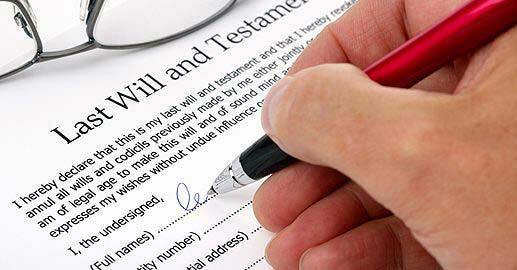 A Last Will and Testament is the basic legal document created to give instructions to your loved ones on how you want your property distributed. Without a will, the state will decide how your estate is distributed, including your money, possessions, and any pets. Every state has intestacy laws in place for when a deceased person did not leave a will. However, most people would prefer to have a say in how their estate is divided, yet many people put off creating a will. Their reasons include not wanting to think about their own death, not wanting to do the paperwork, or believing they don’t need to create a will. In fact, everyone should create a will, and there is no better time than the present to get started. Therefore, if you need assistance with wills in Pekin, IL, call Brave Law Center at (309) 685-7900 today! Contact Us About Wills in Pekin, IL Today! In conclusion, if you have questions about estates law or wills in Pekin, IL, contact Brave Law Center, P.C. Call (309) 685-7900 to schedule your appointment with us now.